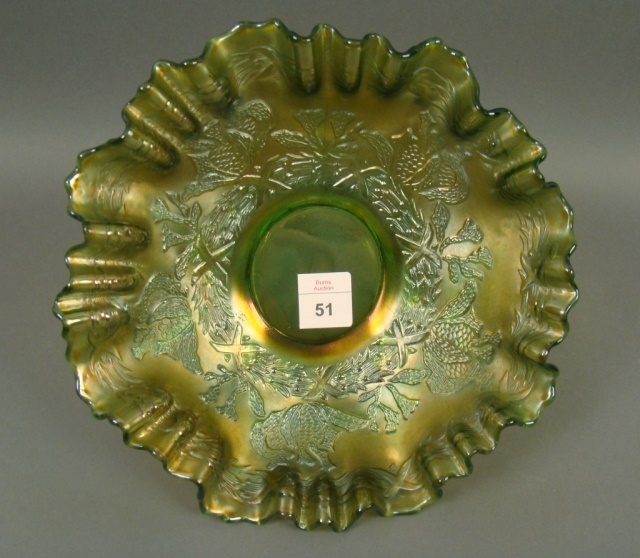 Coral has two bands of wrapped wreaths similar to those used for Fenton's Little Fishes and Peter Rabbit patterns. 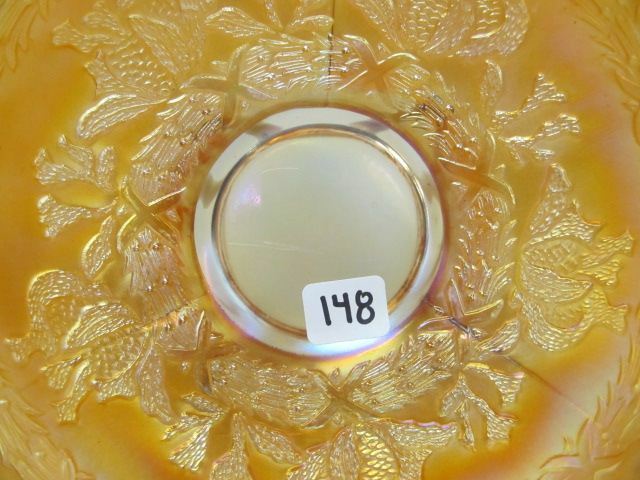 This one, though, has leaf-like designs between the bands that apparently reminded someone of coral. 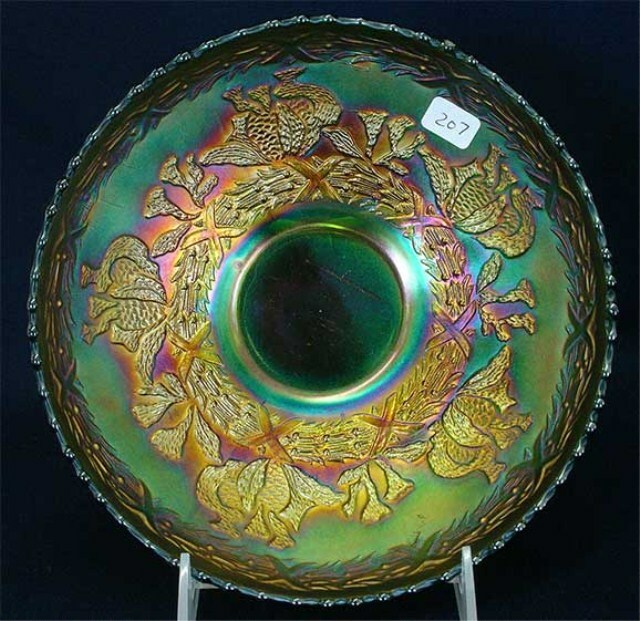 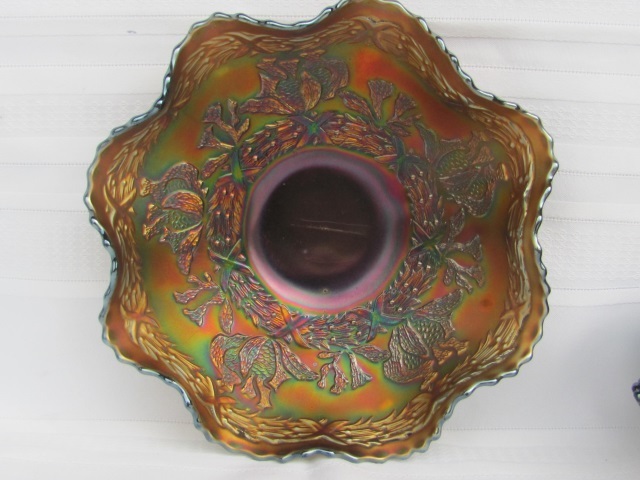 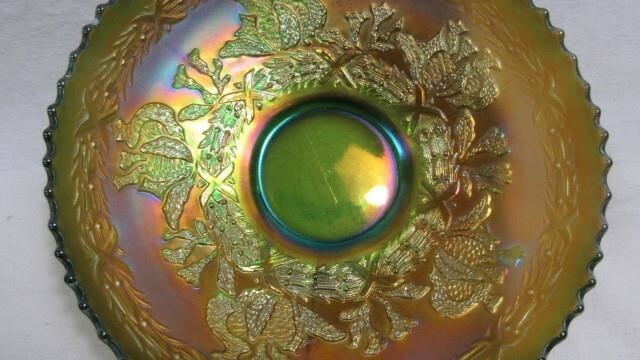 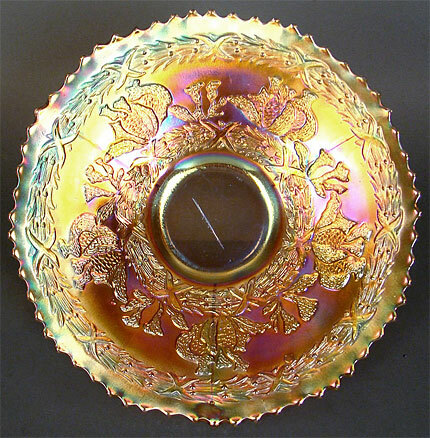 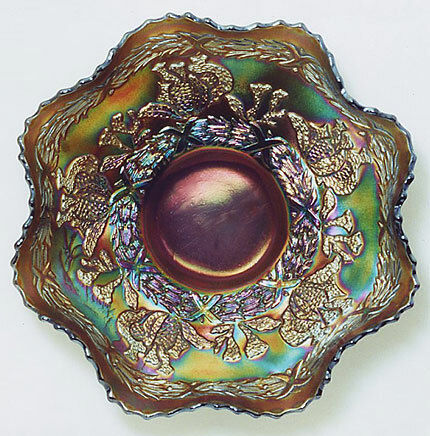 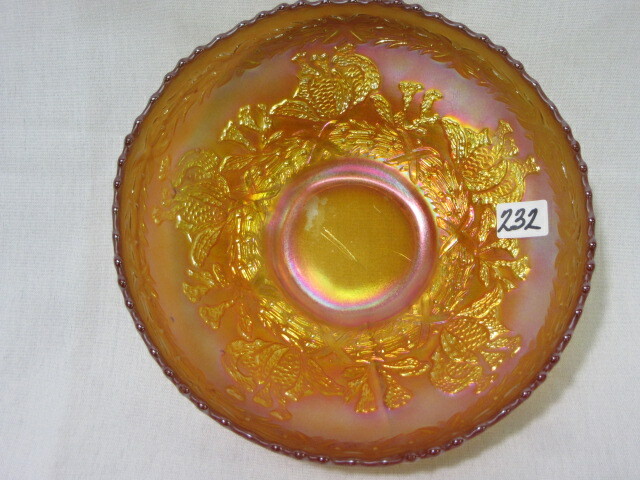 The pattern is found only in bowls and plates and is rather scarce. 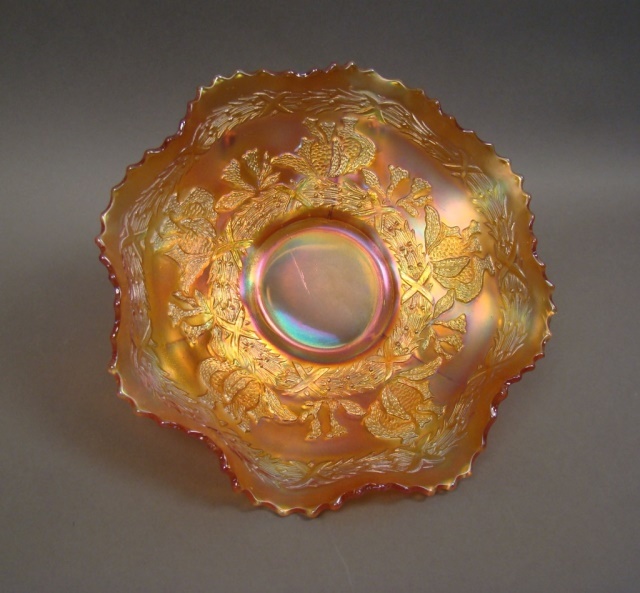 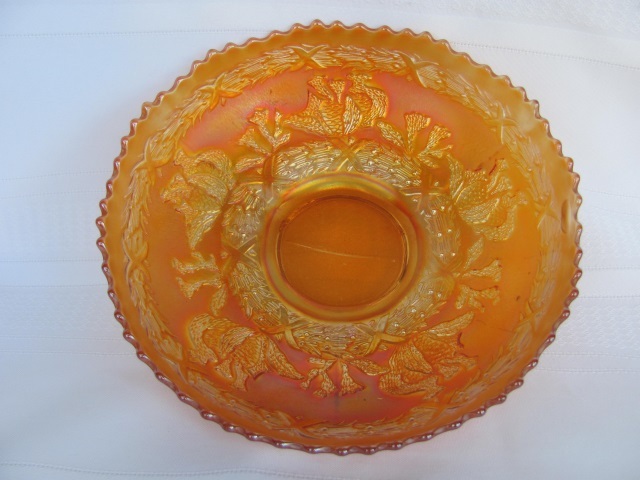 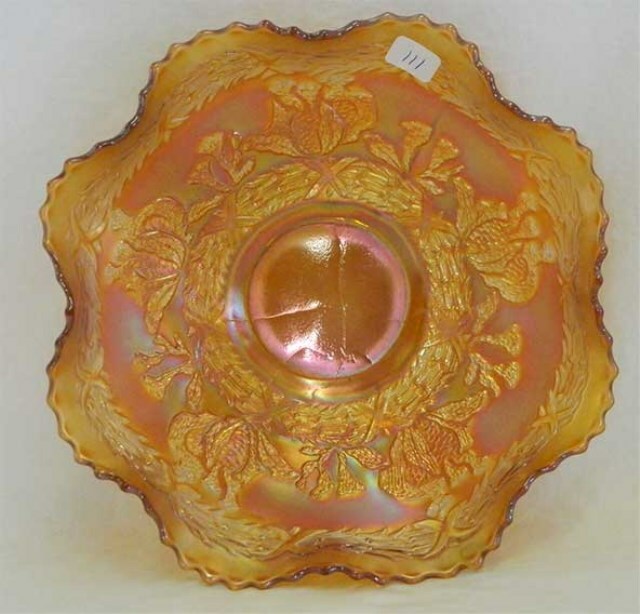 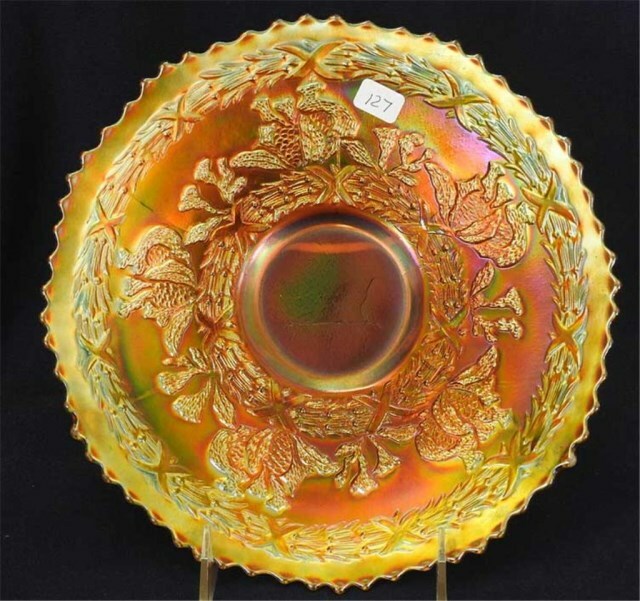 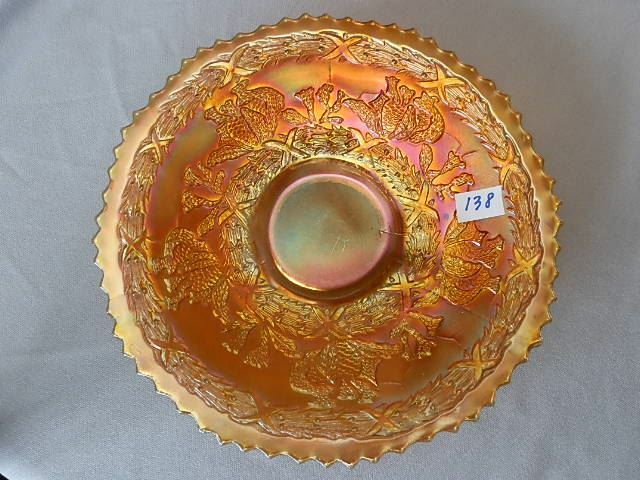 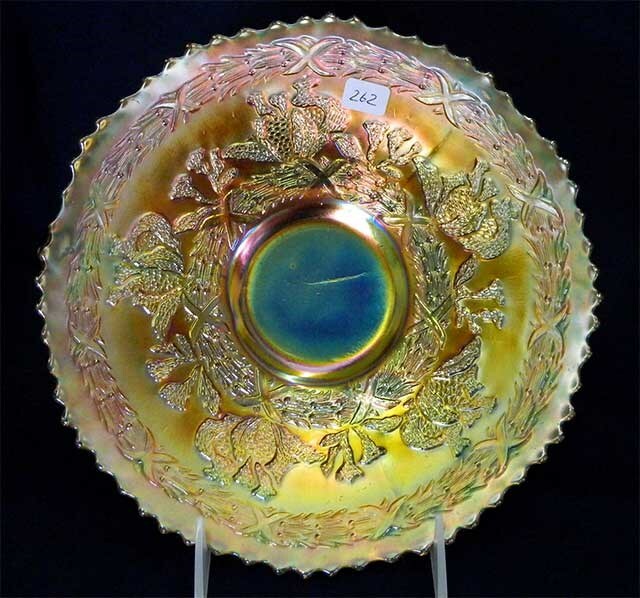 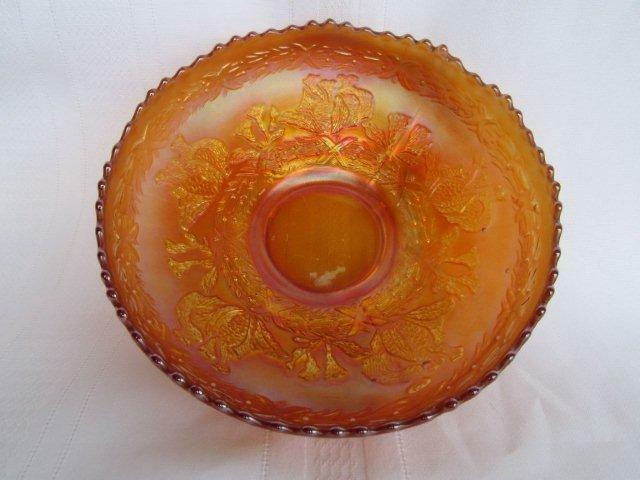 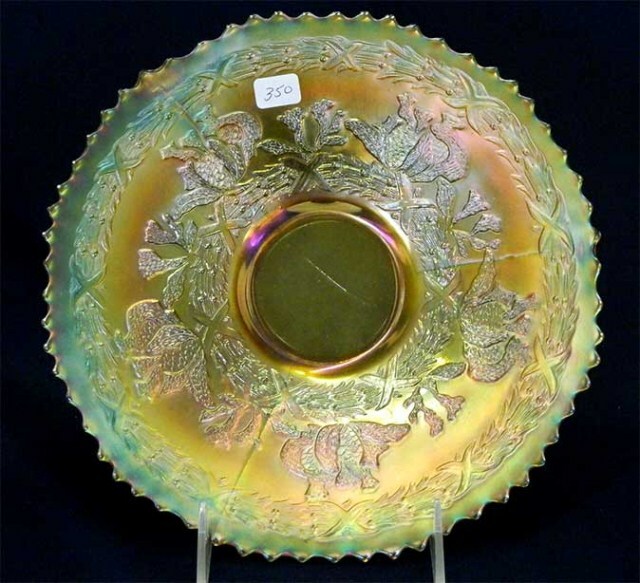 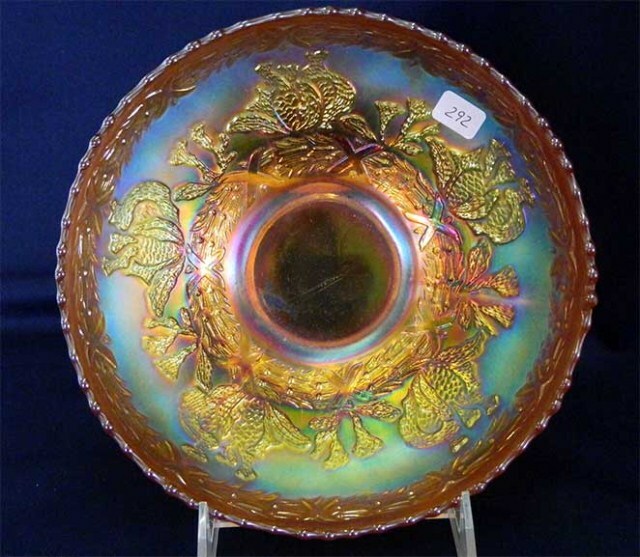 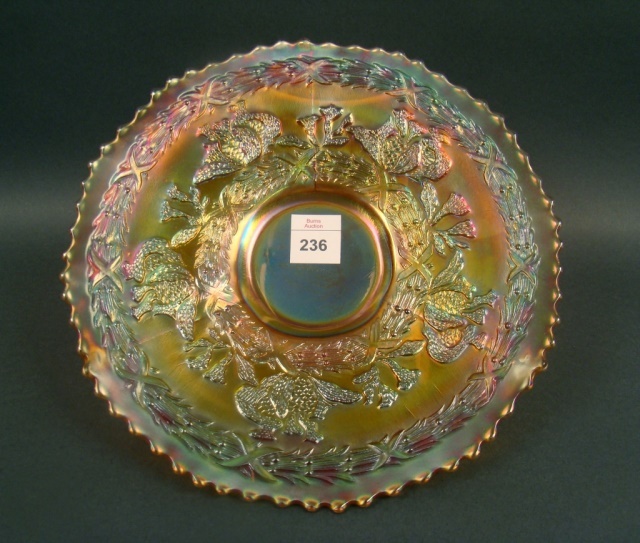 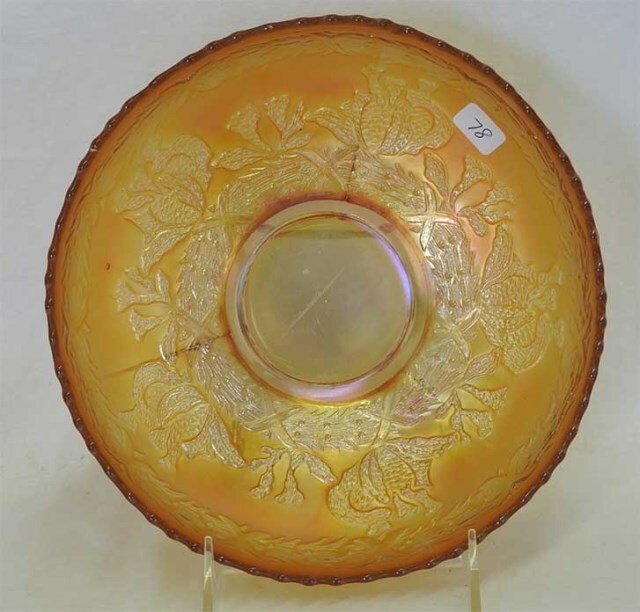 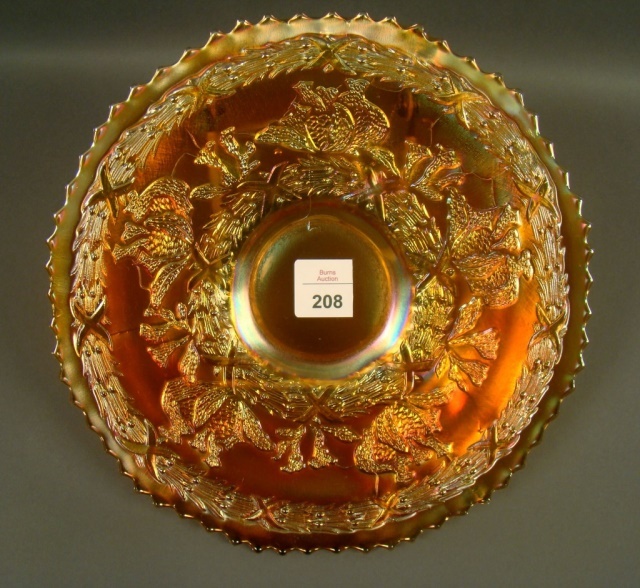 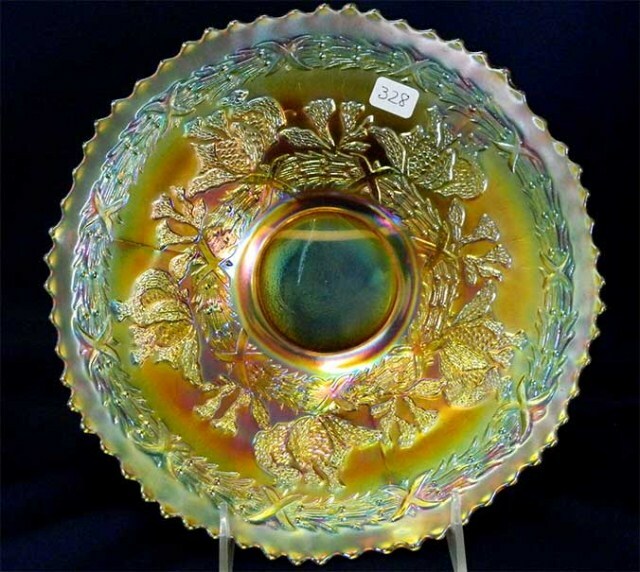 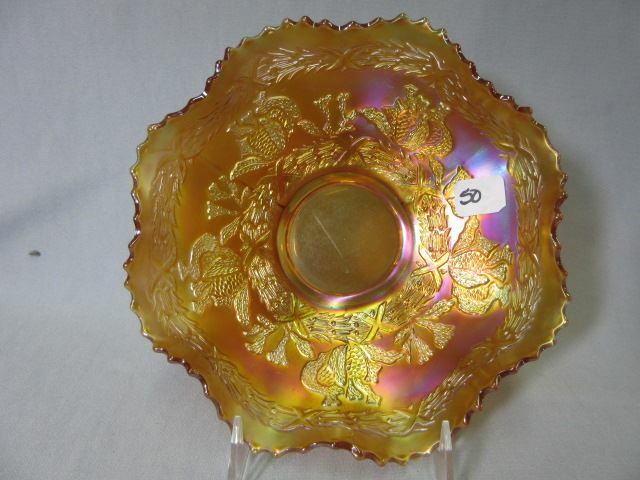 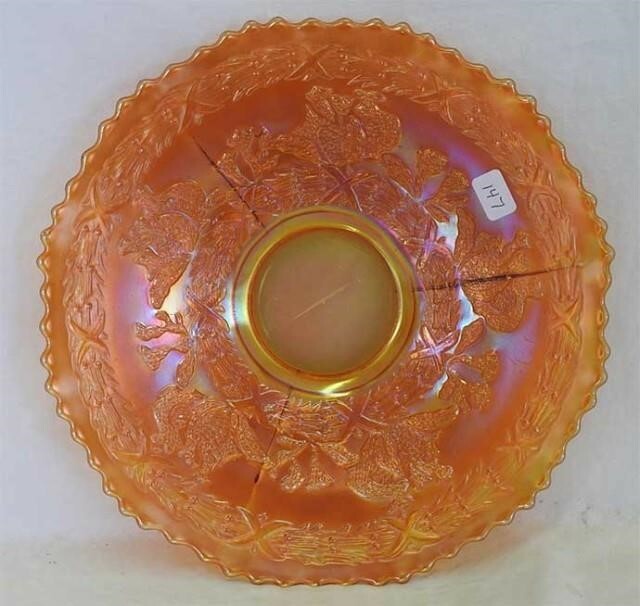 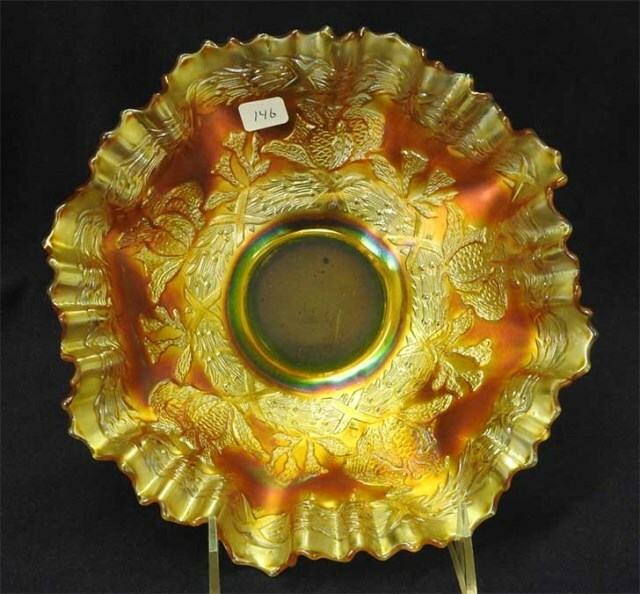 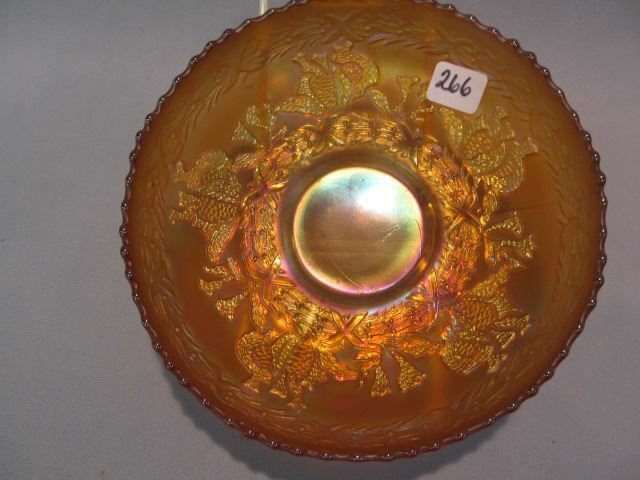 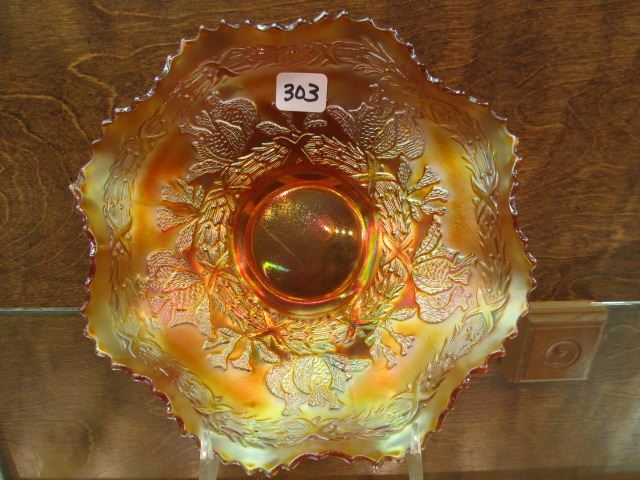 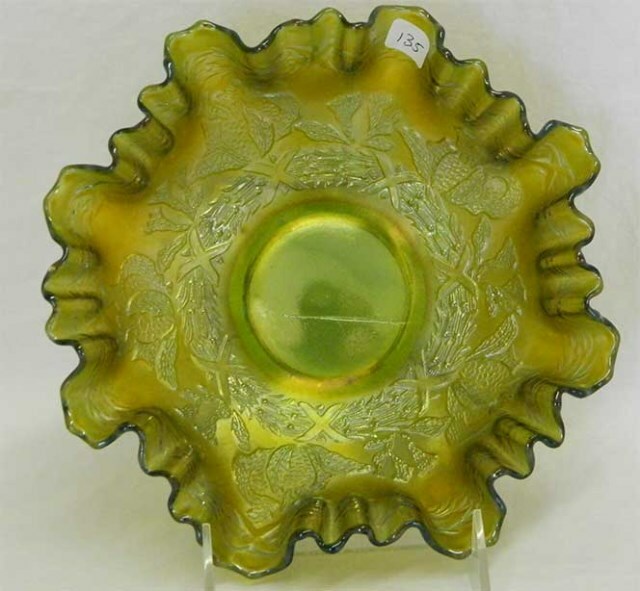 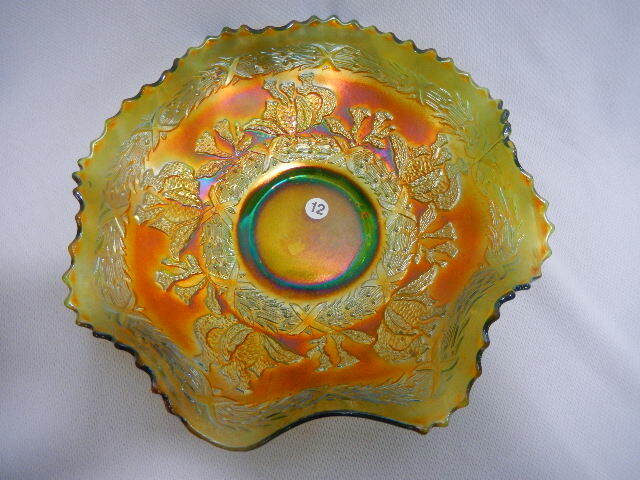 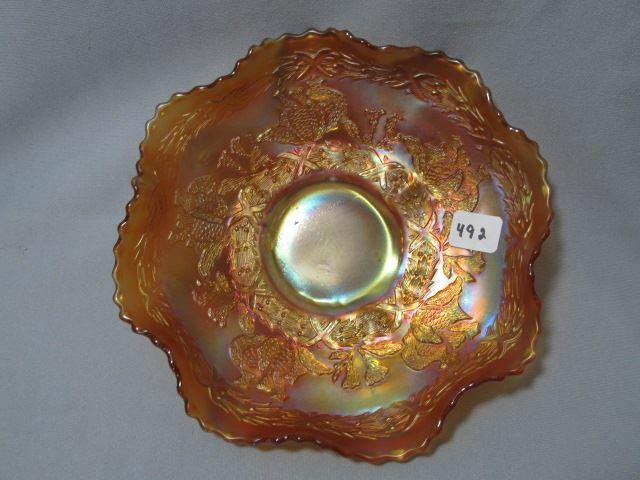 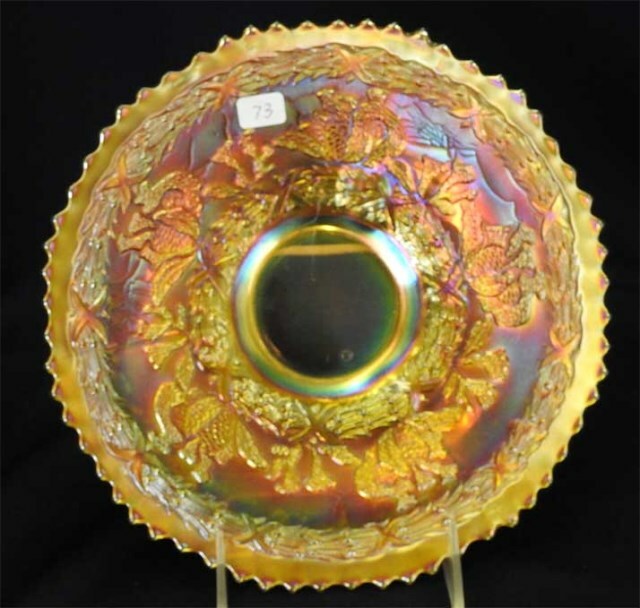 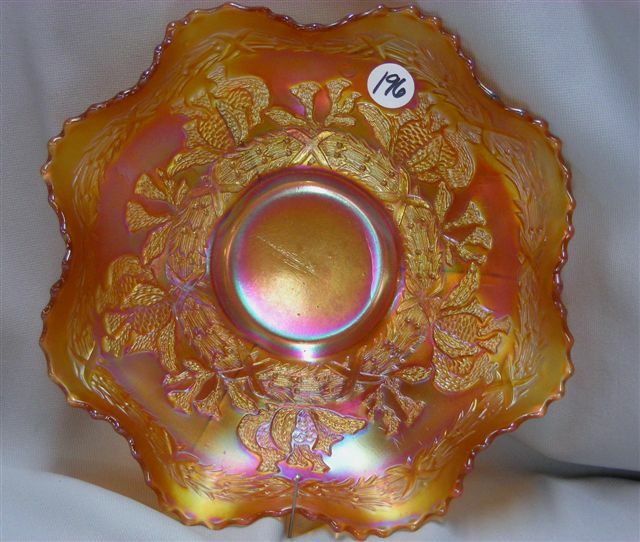 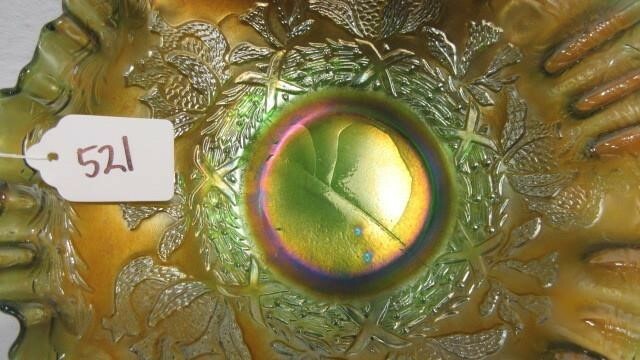 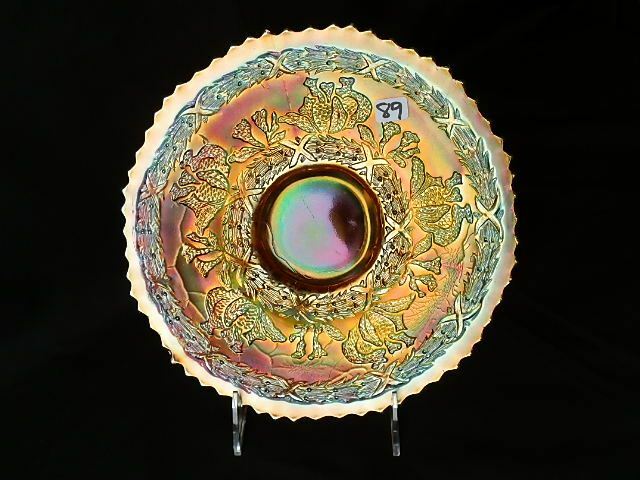 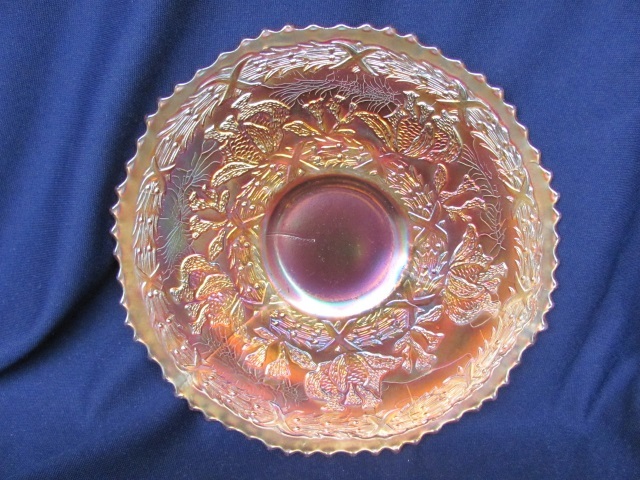 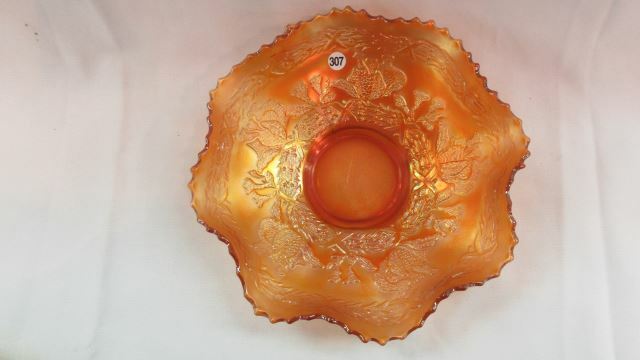 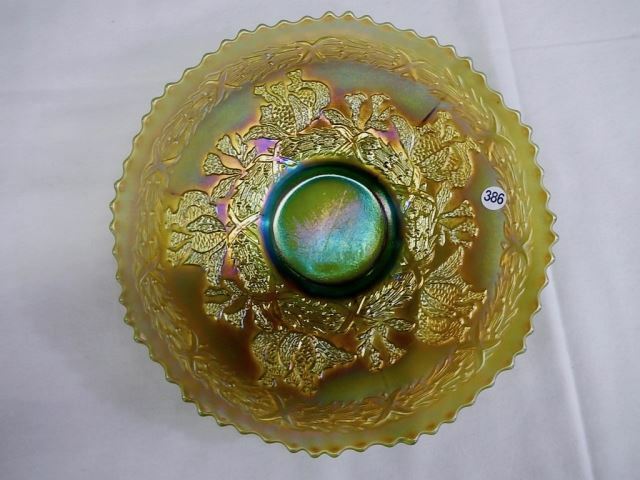 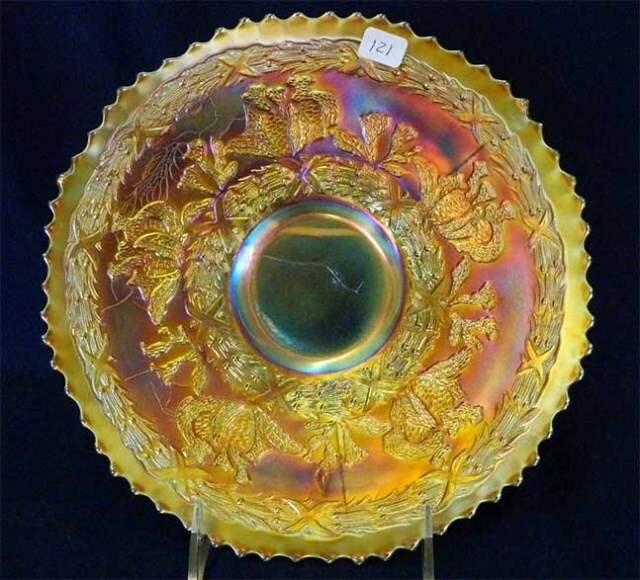 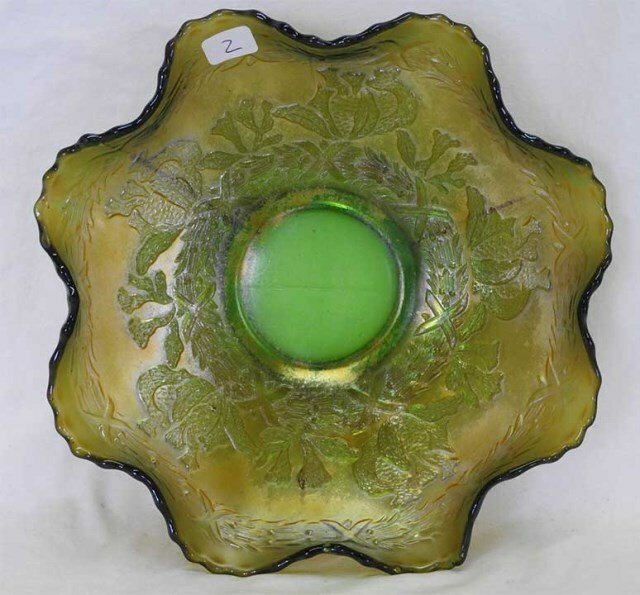 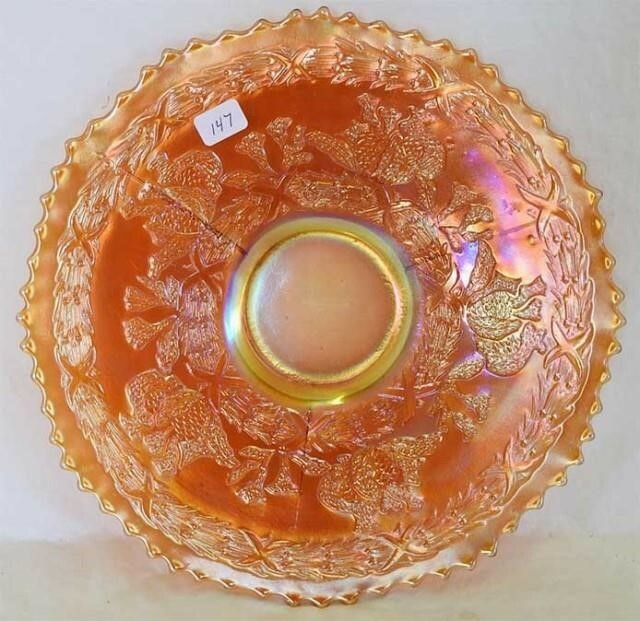 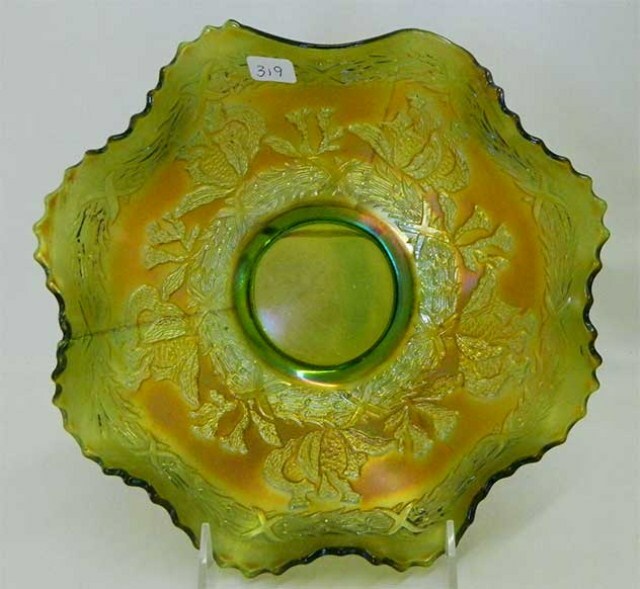 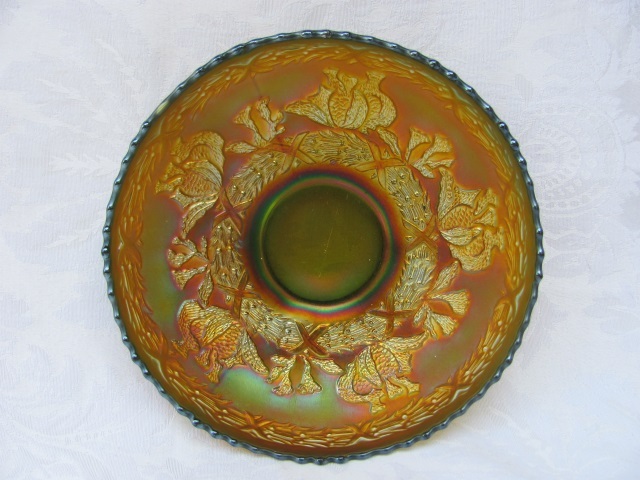 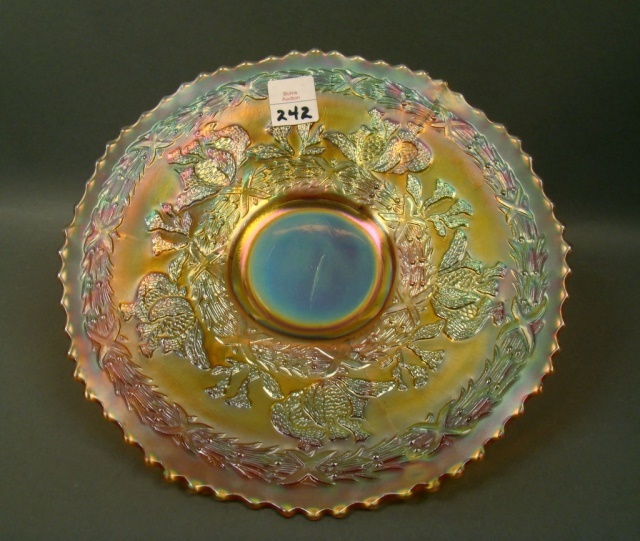 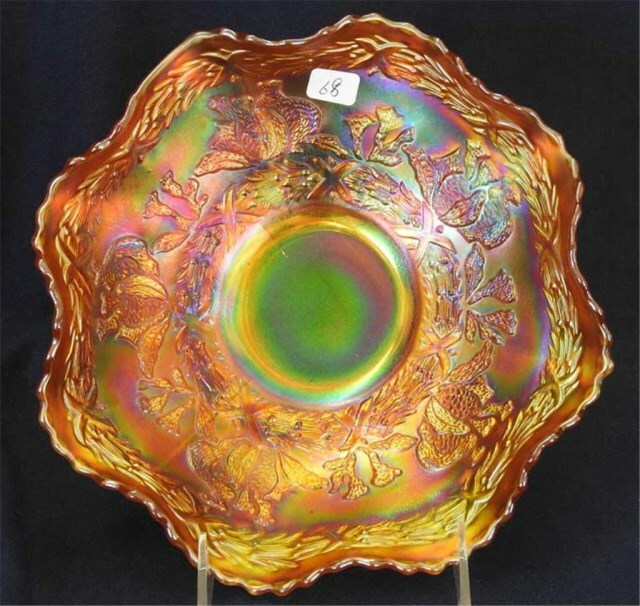 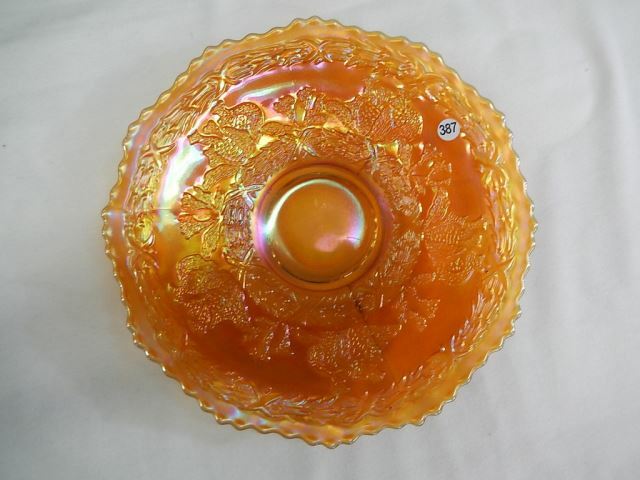 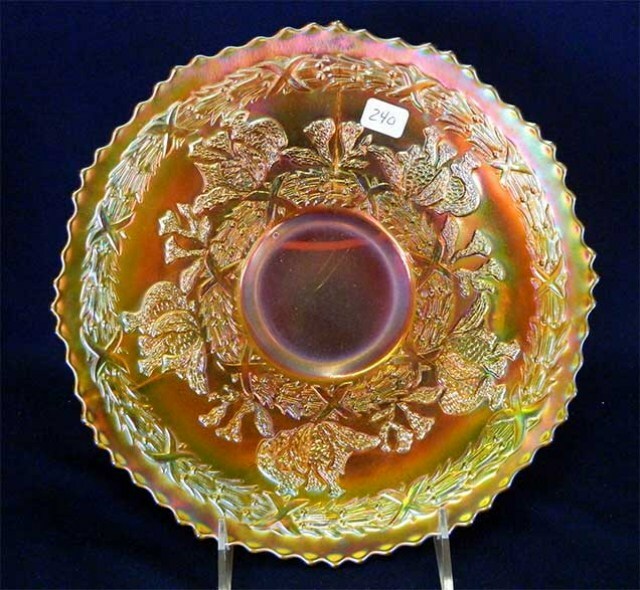 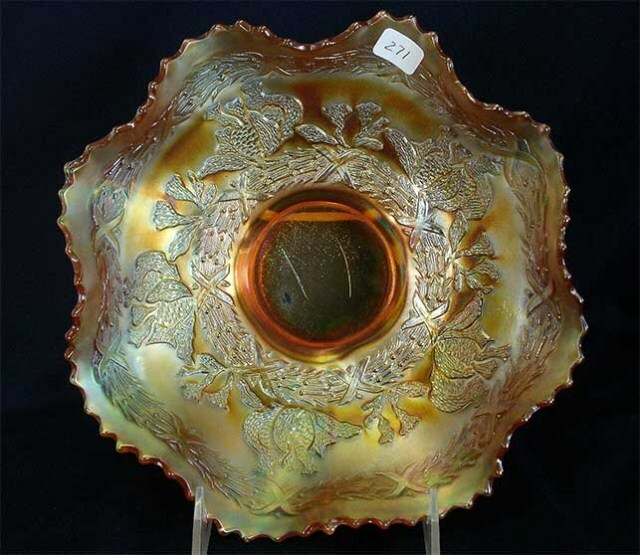 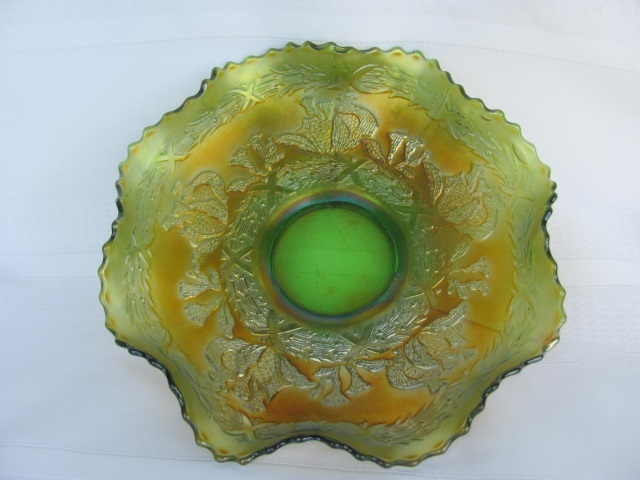 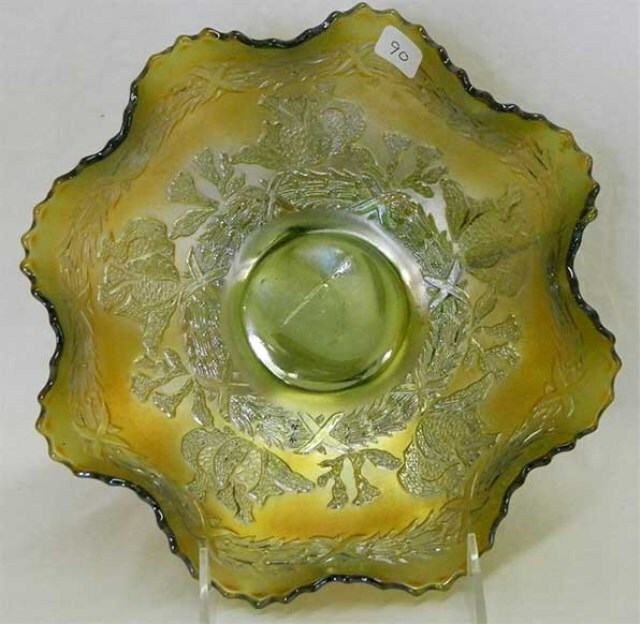 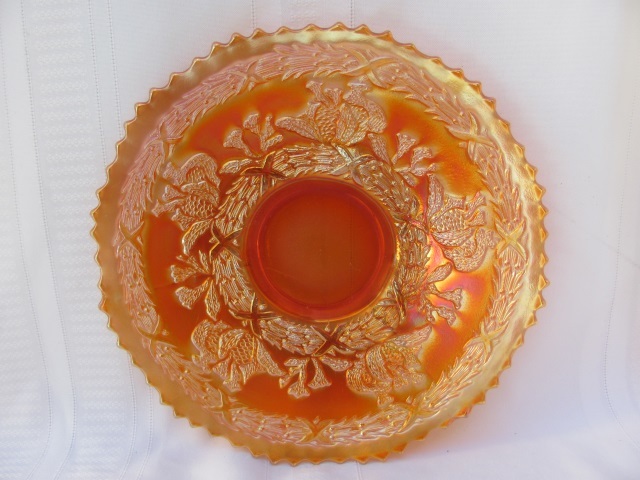 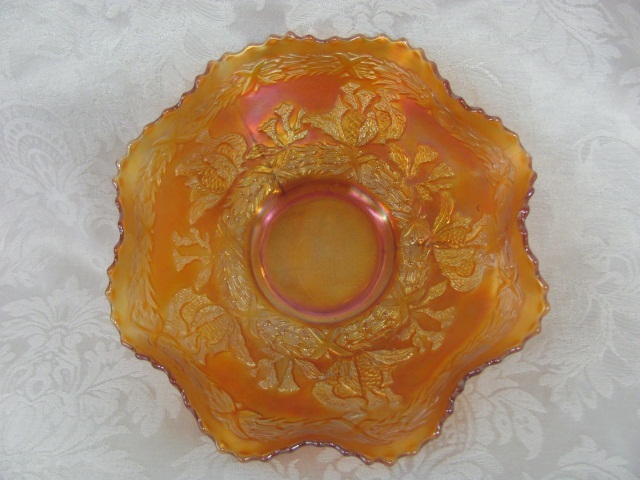 This marigold plate (pictured above on the right) sold in 2010 for $375. 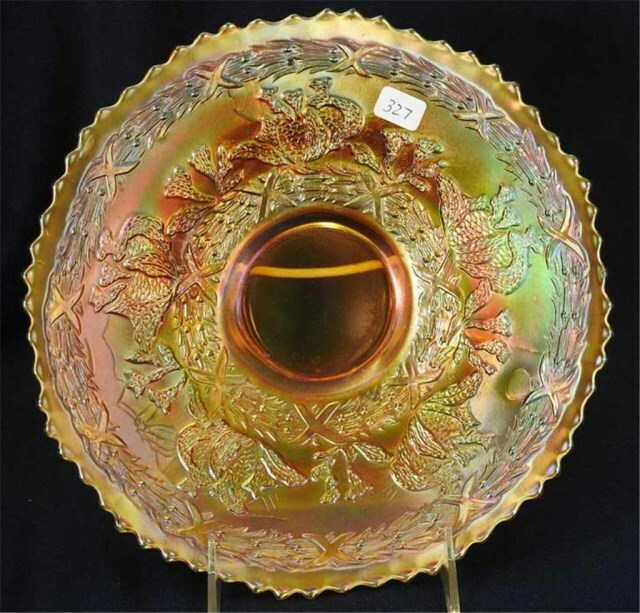 Photo courtesy of Remmen Auctions.